Searching for a home within the Laureate Park Elementary School Zone? Then you are in the right place! We work hard to make your next home search easy and efficient, so that when you are ready to buy or sell, we are ready to help! 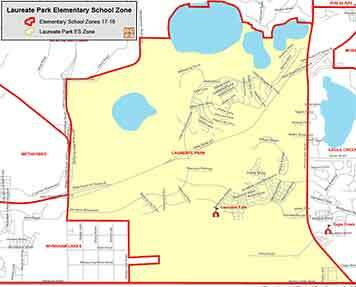 Students of Laureate Park Elementary reside within the 32827 and 32832 zip codes. Opened August 2017. Laureate Park Elementary is equipped with cutting-edge technology features in the library media center, classrooms and computer labs. You won’t find chalkboards in classrooms. Each classroom is appointed with interactive SmartBoards to encourage collaboration while allowing educators and students interact with a variety of content.